Just a quickie post to share two great giveaways with you, both of them featuring two of my very favourite vegan cookbooks. 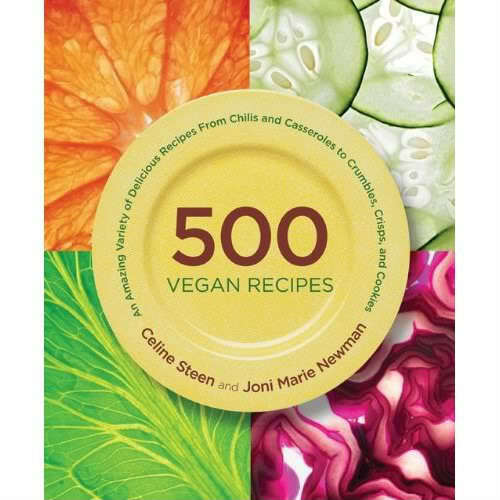 I was lucky enough to be a recipe tester for both of these books, so believe me when I tell you they Rock with a capital R.
Be sure to head over to visit Diet, Dessert and Dogs where my friend Ricki is giving away a copy of Celine Steen and Joni Marie Newman’s 500 Vegan Recipes. This is the perfect “go-to” vegan cookbook that covers everything from breakfast to dinner, plus desserts and snacks. Love this book. For reals. 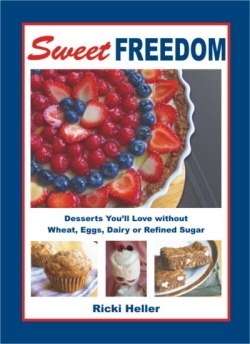 Speaking of my friend Ricki, you can win a copy of her vegan dessert cookbook Sweet Freedom by visiting Sally’s blog. This is no ordinary vegan dessert book people, Sweet Freedom proposes sweet treats for everyone, including those with food sensitivities. Sometimes life can throw you some sneaky punches, making you feel a bit melancholy. No matter your worries, often you just need to step back and take stock of the simple pleasures that make life so delicious. 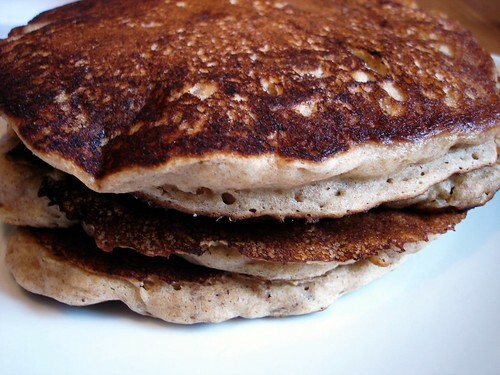 Hanging out in your jammies, building forts with blankets and pillows, eating pancakes and alliteration. 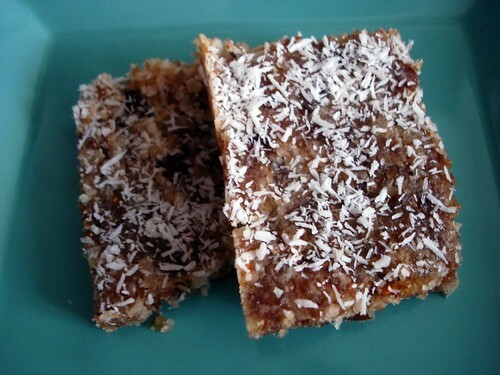 Like these Fluffy Fruited Flapjacks. Ok, they’re actually Fluffy Fruited Pancakes, but I think Fluffy Fruited Flapjacks sounds much more Fun (get it, another “F”). These really were amazingly fluffy – like crazy fluffy. But in a good way. Today we rocked them up with some banana goodness, but any fruit would make them smashingly good. I’m just sure of it. We also go to enjoy some real, authentic Canadian Maple Syrup hand delivered with love by our friend Kimianak. You really can taste the “special delivery” difference. Trust me. I think my Sweet Freedom Saturday posts will grow more infrequent as I continue reveling in the summer sun and enjoy being outside and not being in the kitchen as much as possible, but I’m sure they’ll be a few SF posts between now and September! Have you made anything yummy from Sweet Freedom this week ? Stay tuned for future Saturday installments of “Sweet Freedom Saturdays”. We’ve also got a Sweet Freedom Flickr Group – come join us! 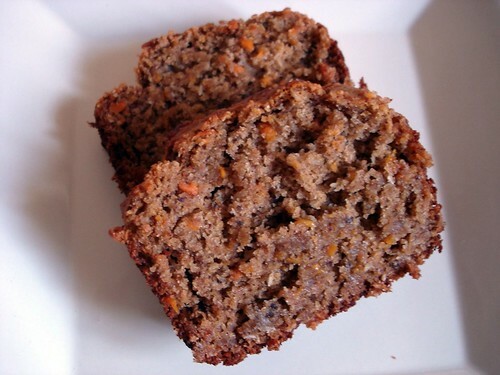 Other Sweet Freedom Saturday deliciousness here in the Fishbowl : Cocao Nibbles, Mrs. K’s Date Cake, Raw Apricot Bars, Tomato Spice Cake, Carrot Snack Cake, Banana Chocolate Chip Muffins, Gingered Apple Muffins, Spiced Pumpkin Millet Pudding. …to bring you a very special announcement! CrazyVeganMom has won a hard copy, and MadCap Cupcake has won a PDF. Please send me a little email (fishbowlmusings at gmail dot com) to claim your prize. Thanks so much to everyone who participated – I wish I could give you all a copy of this book, because I really do think it’s the bee’s knees. I’d also like to thank author (and friend!) Ricki Heller for generously donating the books for this giveaway! Your regularly scheduled W.I.P. Post will be up before the day is done! Thank you. You still have time to get in on the big Sweet Freedom giveaway! Just leave a comment here before midnight Paris time for your chance! The two lucky winners will be announced on Wednesday, July 1st, in honor of Canada Day. 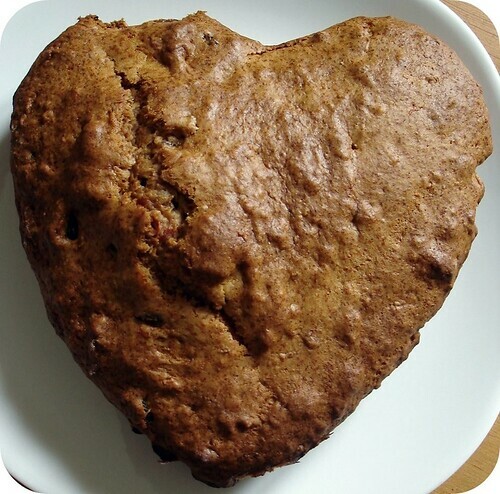 This is Mrs. K’s Date Cake. Monsieur Fish also announced to me that this is his favourite thing ever that I’ve ever made. Ever. 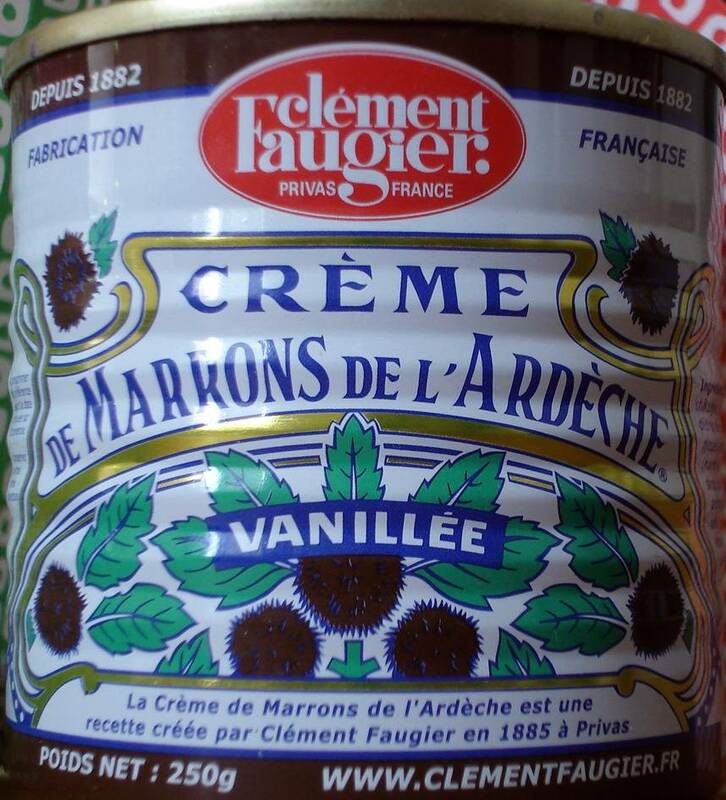 Monsieur F is a gourmand, and while he often says he just love this or that, this is indeed the first time I’ve ever seen him so passionate about a dessert. There were four more pieces missing! I had to hide the cake! So silly, I know. I’d much rather see him go crazy with this cake, however, than many of the less “healthy” versions out there. This is indeed a decadent little snack cake, but it’s 100% natural and delicious. Have you made anything yummy from Sweet Freedom this week ? Stay tuned next Saturday for another installment of “Sweet Freedom Saturdays”. We’ve also got a brand new Sweet Freedom Flickr Group – come join us! Other Sweet Freedom Saturday Deliciousness here in the Fishbowl : Raw Apricot Bars, Tomato Spice Cake, Carrot Snack Cake, Banana Chocolate Chip Muffins, Gingered Apple Muffins, Spiced Pumpkin Millet Pudding. I’m so excited to have my real, live, tangible copy of Sweet Freedom! I’d been working from the PDF, which is great, but it’s nothing like being able to flip through the pages of a real book! 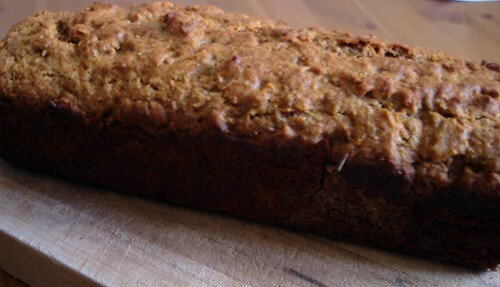 This week’s installment of SFS features the Tomato Spice Cake, which is just lovely! Ricki shares that this cake is a fresh spin on one of her Mother’s classic cakes. I remember when I was little the “tomato soup” cakes being rather popular at bake sales and socials. I also remember asking one of the women at the school tea why there was tomato soup in her cake, why didn’t she just use tomatoes? She told me I was impertinent. Hump. I made this for Guppy’s Fun Friday after school quatre heures. She made me giggle because when she saw the finished cake sitting on the platter, just waiting for her to come home from school, she looked at me and said, “Mumma, you forgot the frosting!”. My oh my, I supposed I did. We’re not big frosting people here, but I did decide to just whip up a quickie-glaze for her. I must admit, it was yummy. Powdered Sugar (I didn’t measure this, I just poured some into a bowl, maybe a half a cup? I just whisked it together with a fork and spread it over the cake. Guppy approved. I think this would be a perfect cake for a brunch or for tea in the afternoon. 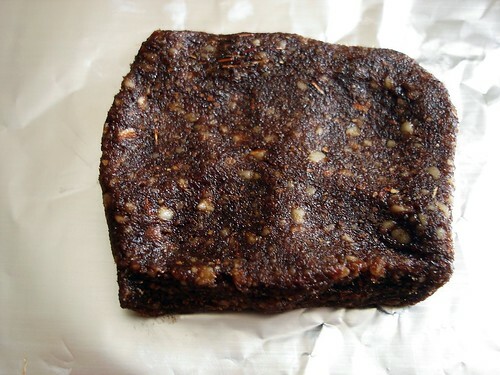 It has a lovely spice cake flavour and a dense crumb making it perfect for dunking. 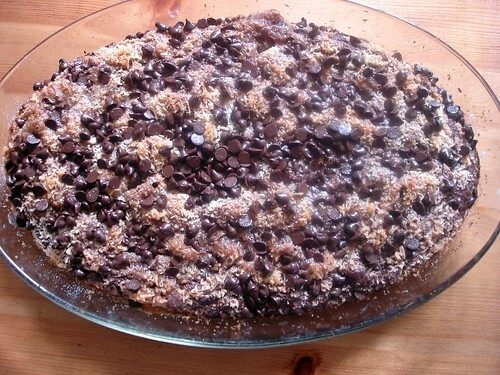 I might even add chocolate chips next time I make this, you know, just to see how it would taste. We loved it (hence the lack of photos, when it goes fast, it’s more difficult to photograph!). I have so many recipes marked in Sweet Freedom, it’s not easy to chose which one will be next! Have you made anything yummy from Sweet Freedom this week ? Stay tuned next Saturday for another installment of “Sweet Freedom Saturdays”. We’ve also got a brand new Sweet Freedom Flickr Group – come join us! Other Sweet Freedom Saturday Deliciousness here in the Fishbowl : Carrot Snack Cake, Banana Chocolate Chip Muffins, Spiced Pumpkin Millet Pudding. My oh my…these are mighty amazing. 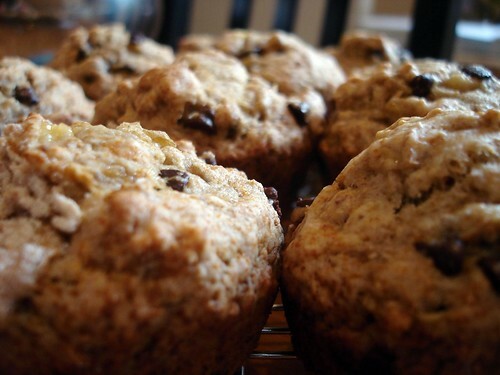 In fact, these were the best Banana Chocolate Chip Muffins I’ve ever had, or made, ever. For reals. I’m going to go out on a limb and say that they were probably the healthiest, too. I brought some to work yesterday morning to share with my colleagues, and they disappeared in less than 5 minutes. 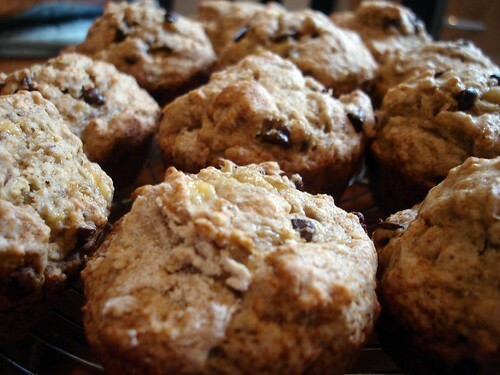 If you’re looking for some delicious and healthy vegan propaganda to share with your entourage (that doesn’t taste like health food), these muffins are for you! Have you made anything yummy from Sweet Freedom this week ? Go check out Diann’s Figaros – they are at the top of my list for things to make next! Stay tuned next Saturday for another installment of “Sweet Freedom Saturdays”. We’ve also got a brand new Sweet Freedom Flickr Group – come join us!